Stocks fell Friday as a technology sell-off rattled global markets. Wall Street had wiped out its gains for the year earlier this week, before beginning to recover Thursday. 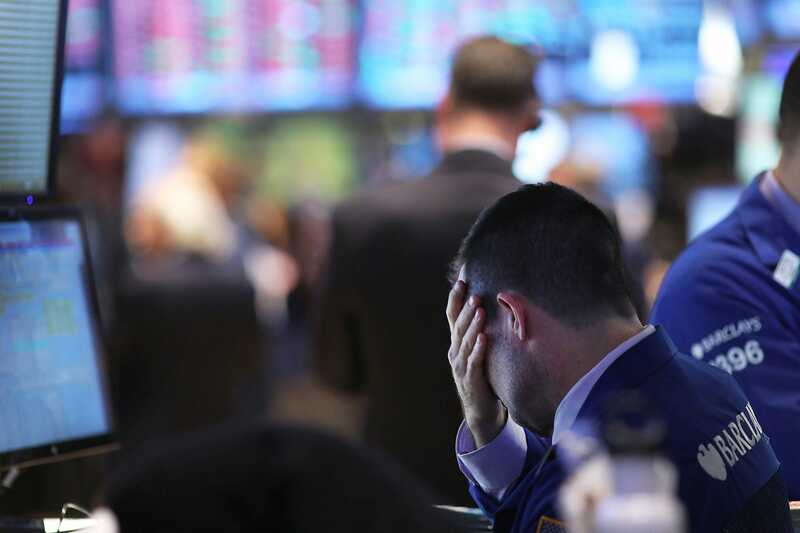 US stocks tumbled Friday as a technology rout rattled markets around the world, days after concerns about rising rates and the prospect of slowing global economic growth had wiped out Wall Street’s gains for the year. The Dow Jones Industrial Average fell about 1%, or more than 200 points. The Nasdaq Composite shed 2.2%, and the S&P 500 was down 1.4%. High-flying technology companies were taking the biggest hits after posting disappointing earnings. Amazon‘s revenue fell short of expectations and its fourth-quarter guidance disappointed, sending shares into a bear market, down more than 20% from their peak. Google parent company Alphabet beat on the bottom line, but also missed on revenue. Snap hit an all-time low after the company said it lost 2 million daily users. “While a lot of the recent sell-off (and headlines) have been dominated by tech, the sell-off has been very broad-based in nature,” Scott Buchta, head of fixed income strategy at Brean Capital, wrote in an email. Before the open, the Commerce Department said the US economy grew in July through September at a slightly slower pace than a blockbuster expansion earlier in the year, marking the best back-to-back quarters since 2014. With strong consumer spending offsetting weaker investment and exports, gross domestic product rose at a seasonally adjusted 3.5% in the third-quarter. “In one line: Strong GDP growth hides soft capex and massive trade deterioration,” said Ian Shepherdson, chief economist at Pantheon Macroeconomics. Investors moved to the relative safety of US government bonds, which move inversely to yields, with the 10-year falling 4.7 basis points to 3.089%, its lowest in three weeks. Meanwhile, the dollar climbed to its highest levels since 2017 against a basket of peers. The Chinese yuan fell to 6.9641 against the greenback, flirting with its weakest point in nearly a decade.